Japanese food items are famous not only among adults, but also for babies. There are many popular Japanese baby food recipes that are healthy as well as likable for babies. In this article, we will learn to make some Japanese baby food items. Before we start with the recipes, let’s first discuss some basic baby food advice and tips. Babies can start drinking tap water when 2 weeks old. Water should be lukewarm, which can be replaced by cooler water over time. 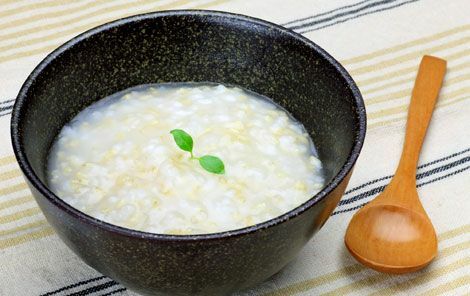 While transitioning from mother’s milk, start with softer foods such as mushy rice mixed with warm water. Seasonal foods such as soup, warm tea and ginger in the winter and tea, fruit, cucumber, etc. should be preferred in the summer. Grainy and fiber food must be avoided. While feeding your baby, do not put the full spoon in his mouth, but place it close to the mouth so that he can sip the food by himself using mouth/tongue movements. Try different food items to make him familiar with the difference between tastes. Babies usually start recognizing and even decide their favorite test by the time they reach the age of 3. This is a wonderful baby food dish rich with protein and calcium, beneficial for growing kids. It is also very simple to make and hardly takes a few minutes. Soak shirasu in hot water for 1-2 minutes using the tea strainer and move it to the Suribachi bowl. Soak one sachet of katsuo-bushi in hot water for 1 minute to make dashi, the soup. Now, place one spoon tofu into the small bowl, and add 3 tablespoons of dashi to it. Put this bowl into microwave and cook for 1.5 minutes. Grind shirasu kept in the Suribachi bowl, then mix it with the small bowl content (tofu/dashi mix) and mash it. This is another very popular Japanese food item for 6 month old babies. The dish is full of protein and is very simple to make. Boil water and cook one spoon tofu for 1-2 minutes, then put it in Suribachi bowl. 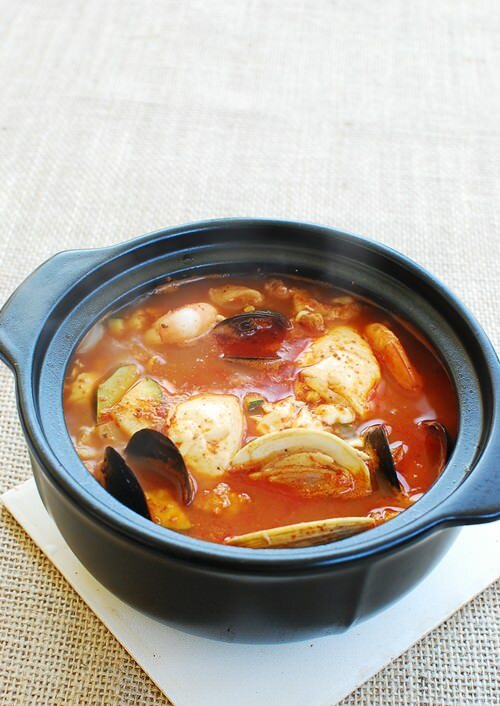 Cook one spoon codfish in boiled water for 2-3 minutes, and then use a sieve to squeeze it into smaller pieces. Now, mix it with the tofu in the bowl and grind the mixture. Add water if needed. The dish is ready to feed 6 months old baby. 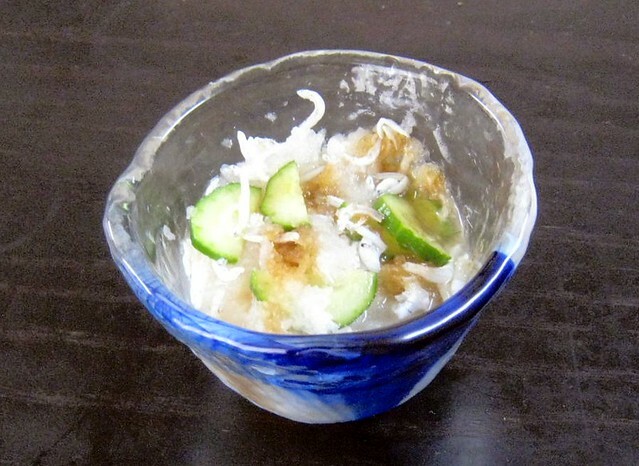 Okayu is another very popular Japanese food item used commonly as a starter food for babies. The best thing is that Okayu can be adapted into a less diluted form to meet the needs of a growing baby. The starter Okayu version (Jyu-bai-gayu) is ideal for 5-6 month old babies. Place one tablespoon rice into the small bowl and add 10 tablespoons of water to it. If you are also cooking normal rice for yourself, place baby rice bowl in center of normal rice inside the cooker and cook on regular mode. Once it is cooked, take out the small bowl of rice and grind it into smaller pieces eatable for baby. The remaining normal rice in the cooker is for you. Now, you know how to make three of the most famous Japanese food items at home. Here are helpful tips you can use while buying ingredients for Japanese baby food. We have already mentioned above the ingredients you need to make some of the most wonderful Japanese baby food items. Here are some things to keep in mind while buying these items from a store. Check the label to make sure that the item if not out of expiry date. Check with the shopkeeper to ensure that it is a suitable food item for a baby. Read the label properly to make sure it is exactly the item you want. Good luck with your Japanese recipe and with you baby. Happy cooking!